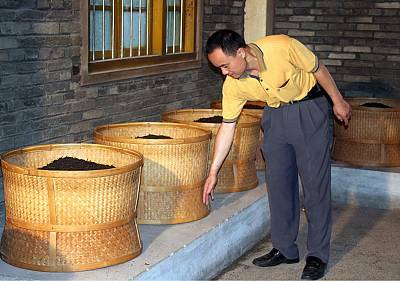 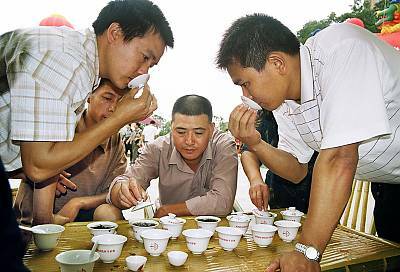 EN: The process of Yao Qing (Swaying) is the key for developing the special quality of the color, aroma and taste. 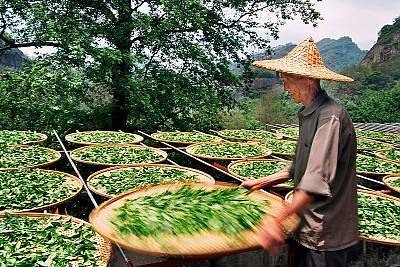 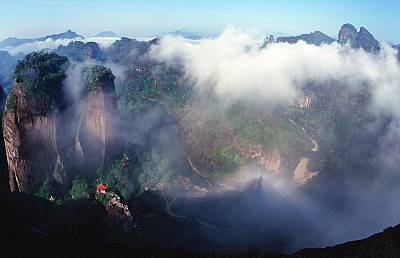 The swaying length of time, speed, softly or hard are chosen according to the fresh tealeaves, the temperature, humidity of the air. 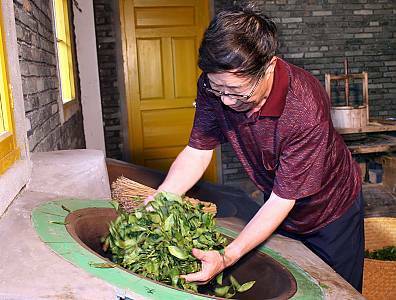 EN: This process of Rou Nian (Rubbing) is not only to let tealeaves juice out but also to make the tealeaves strip-shaped and ball shaped. 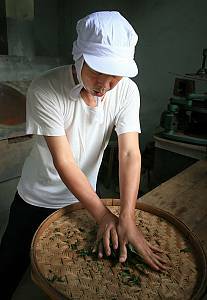 EN: Hong Bei (Baking) is a unique process by using the charcoal as heat source. 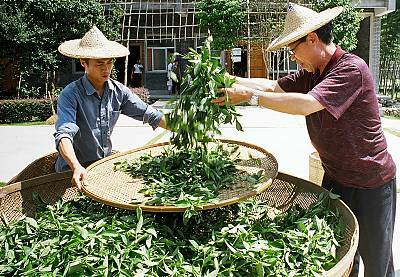 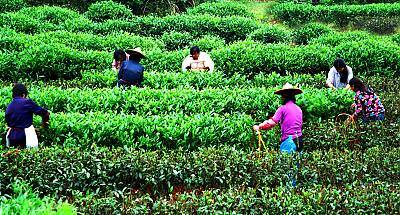 Its prupose is to promote the mellow degree and to mesure the tea capable to be made as many times as possible. 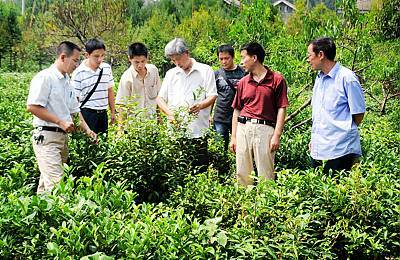 The heat control is judged by observation of eyes and touching of hands. 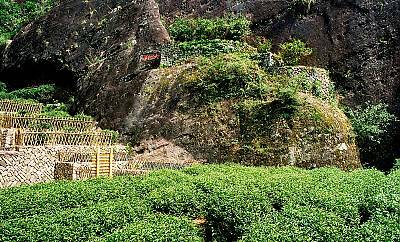 EN: From ancient times till now, the folk Olong teafight match is a customs to exchange and promote the tea-making skills.